On day 1, we started our 8-hour journey from Los Angeles, California to Williams, Arizona at 7 AM in our compact Mitsubishi. The views from the drive were stunning and mountainous. 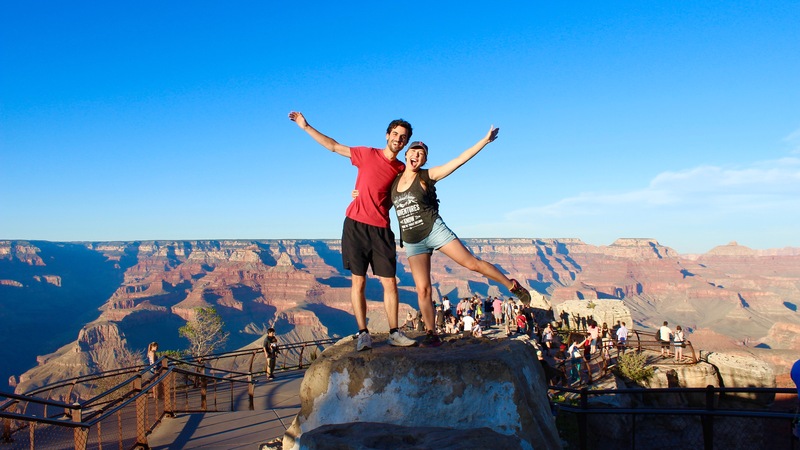 We were absolutely thrilled and couldn’t wait to get to the Grand Canyon! We were so excited that we didn’t even stop for lunch. I fed David his lunch as he continued driving. At around 5 PM, we finally made it to the front entrance of the Grand Canyon and were greeted by a smiling park ranger. We paid the $30 for a parking pass and then happily drove on to the Visitor Center’s parking area. Once we got out of the car, it was clear that the park was very crowded, despite it being 5 PM on a Tuesday, but that definitely didn’t impact our amazing experience. I was absolutely astounded with the Canyon. I snapped hundreds of pictures and filmed lots of footage, but I found it difficult to capture the vastness and power of the Grand Canyon. It’s one of those landmarks you have to see with your own eyes to believe. Of course, the pictures still turned out beautifully. 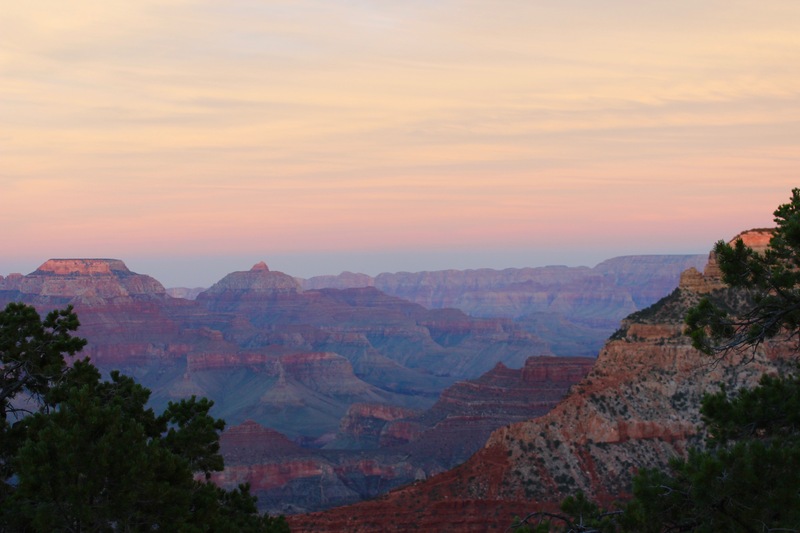 David and I stayed until sunset, watching the pink and orange colors sweeping over the Canyon. It was all very romantic and it was hard to believe that just that morning we were in the hustle and bustle of central LA. After getting lost for an hour trying to find our parking spot (word to the wise: TAKE A PICTURE OF YOUR PARKING SPOT WHEN YOU’RE TRAVELING), we headed to the Quality Inn hotel in Williams and flopped into our big, squishy bed feeling grateful for the wonderful day we’d experienced. Give yourself enough time to look around. You’ll need at least 2 hours to really take it in. Take a picture of your parking spot. Be aware that there are no street lights in the park once it gets dark, so you may need a flashlight or a phone with a flashlight. Make sure not to forget to take in the Canyon with your eyes for a bit. So many people were living through their camera lens. Stay for sunset or sunrise. 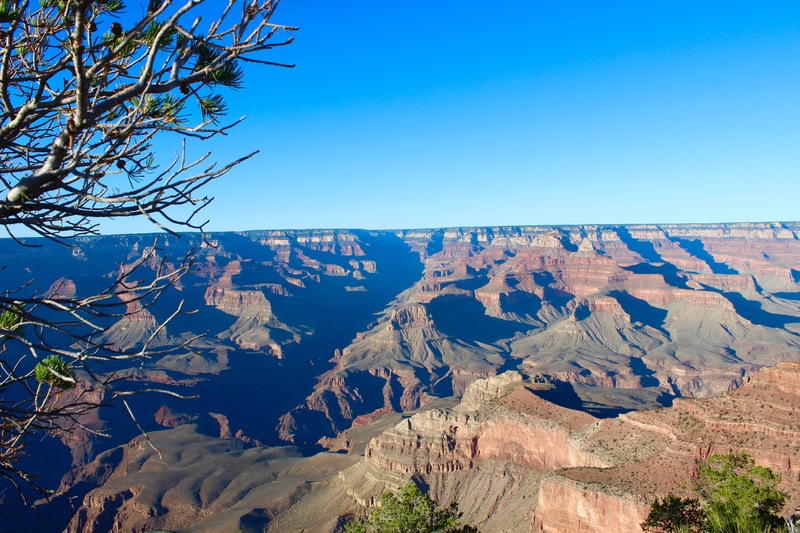 The sun rising or setting over the Grand Canyon is not something you get to experience every day! 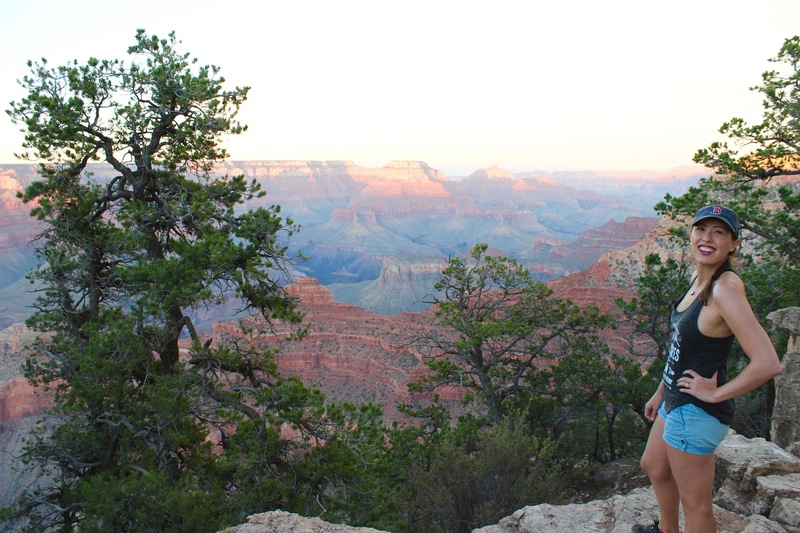 I hope this blog post and video inspire you to embrace your inner traveler and come see the Grand Canyon for yourself!